I'm making tones of these to fight the "rain-blues"
Thank you for visiting me . Thanks a lot Shari, I loved your soup necklace! Send your rain our way! We're in need of it. 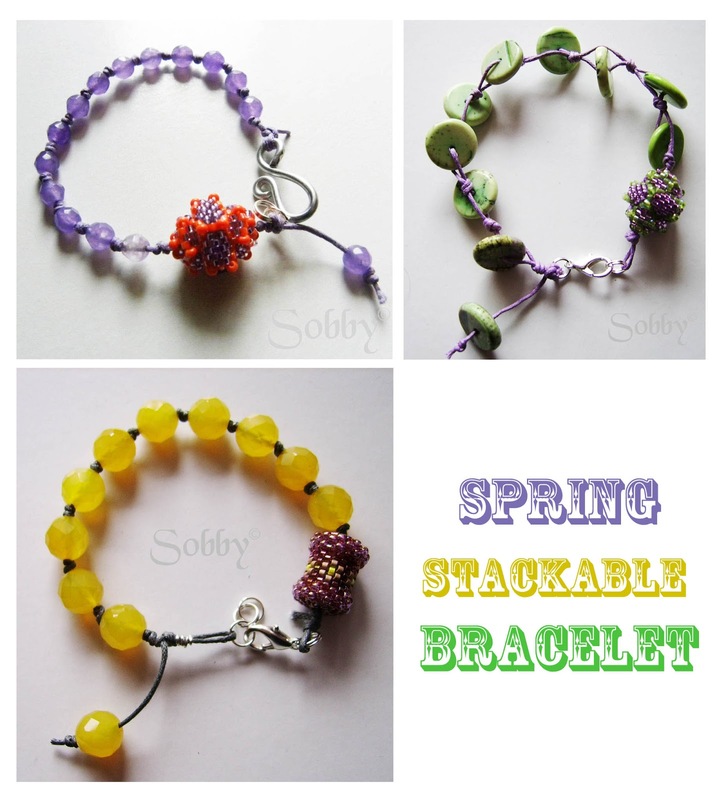 I like the light, Spring-y bracelets. Fun.